The Blue Velvet studio offers an extremely adaptable recording space for solo artists or a small group of musicians and singers. 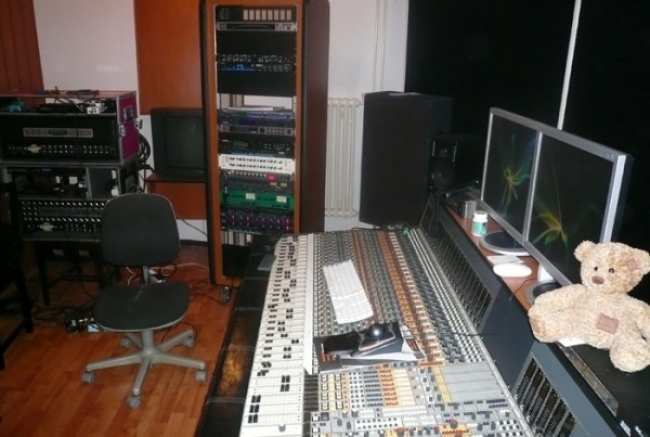 Acoustically well balanced, it has its own control room and group of experienced sound engineers and technicians. 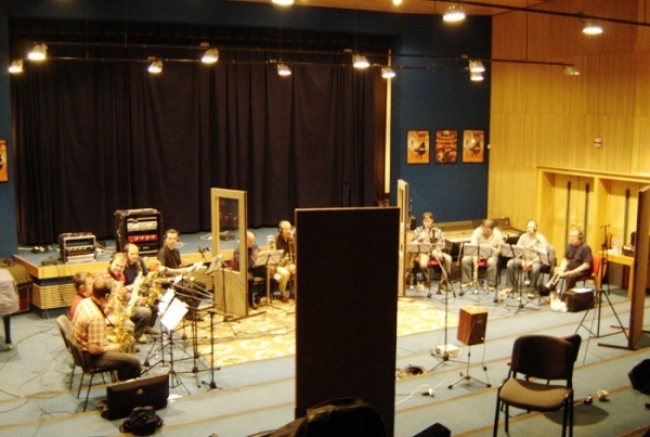 Blue Velvet is an ideal choice for recording jazz, rock or pop compositions. As with Studio 1 – Gallery, the opportunities with Blue Velvet are limitless. All of your needs can be satisfied right here in one room. There is no need to record in several studios because of technical or space requirements. Blue Velvet has been designed to maximize efficiencies with space. 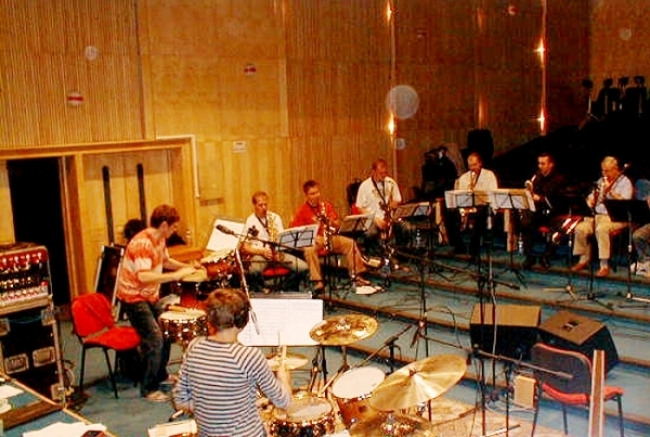 Why spread recording sessions over several days to accommodate different elements? You can record solo vocals with an accompanying group of musicians and a choir all at the same time on the same day! It’s not a problem. We invite you to come and see for yourself. Blue Velvet was ideally created for solo projects, pop, rock or jazz groups. It includes its own group of sound engineers and support. Rear background for musicians and production management. Direct, secure access for equipment unloading from the parking area to the studio. Hotel accommodations near the studio.